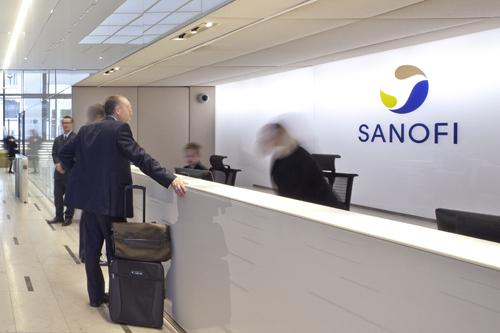 A US appeals court has overturned a lower court judgment that Sanofi and Regeneron should be barred from selling their PCSK9 inhibitor Praluent in the US because of patent infringement. The new ruling has removed that permanent injunction - which was put on hold during the appeals process - and ordered a new trial to settle the patent infringement case brought by rival PCSK9 inhibitor developer Amgen. “This ruling means that Sanofi and Regeneron will continue marketing, selling and manufacturing Praluent (alirocumab) injection in the US,” said the two companies in a statement. Praluent was approved in the US first, but Amgen filed a patent infringement suit after securing approval for its own PCSK9 drug Repatha (evolocumab). The permanent injunction was backed in January and then suspended the following month. Both products are used to treat patients who cannot meet cholesterol-lowering targets with existing therapy, such as statin drugs, or who have inherited disorders that cause elevated cholesterol. While they were predicted blockbuster sales before approval, take-up so far has been slow, thanks largely to resistance by payers to the new costly drugs at a time when the statins market has become generic and commoditised. Sanofi reported sales of €76m ($89m) in the first half of the year, up from €33m in the same period of 2016 but showing little upwards trajectory - the drug made $41m in sales in the fourth quarter of 2016 and for some time was largely neck and neck with Repatha. Latterly, Amgen’s drug seems to pulling ahead, bringing in $132m in the first half of the year and Amgen has been claiming around 58% market share in both the US and Europe. The disparity could be down to the rates at which the two drugs are being added to payer formularies, and Sanofi and Regeneron said a few weeks ago that pharmacy benefit manager CVS said it would provide co-preferred access to Praluent through its CVS Caremark commercial formularies, which cover approximately 25 million people in the US. Meanwhile, both Sanofi/Regeneron and Amgen are hoping that trials showing that their drugs; cholesterol-lowering activity translates to a reduction in cardiovascular outcomes will help to accelerate growth. Praluent is in an 18,000-patient ODYSSEY OUTCOMES study due to report in early 2018, while Amgen reported the results of its FOURIER outcomes trial with Repatha in March and has filed for approval to add the data to the drug’s label.